This paper concerns compact routing schemes with arbitrary node names. 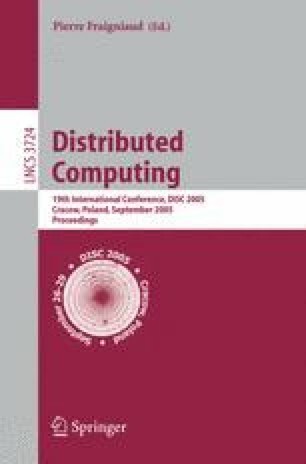 We present a compact name-independent routing scheme for unweighted networks with n nodes excluding a fixed minor. For any fixed minor, the scheme, constructible in polynomial time, has constant stretch factor and requires routing tables with poly-logarithmic number of bits at each node. For shortest-path labeled routing scheme in planar graphs, we prove an Ω(n ε ) space lower bound for some constant ε > 0. This lower bound holds even for bounded degree triangulations, and is optimal for polynomially weighted planar graphs (ε=1/2).